EasyPost is a carrier account integrator that provides consistent and reliable access to a variety of shipping providers globally. Connecting a carrier account to SKULabs requires you first add the carrier account to EasyPost then in a second step connect the account to SKULabs. Create an EasyPost account if you have not already. EasyPost already provides a USPS connection. If you wish to connect a carrier other than the USPS, you can add another carrier. Copy your production API key from EasyPost. You will now need to connect your carrier to SKULabs. Return to the connect EasyPost carrier page on SKULabs. 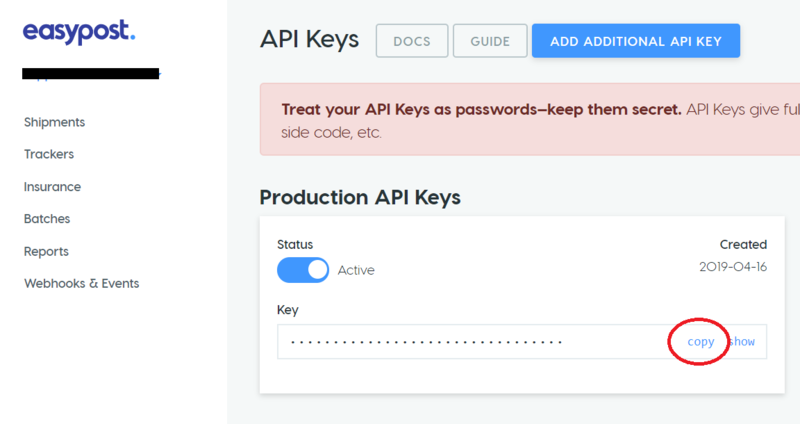 Paste the "Production API Key" onto the form. Click the refresh icon next to the carrier account list, then choose a carrier account to connect to SKULabs. Remember to click "Save" to complete the process!